This is shaping up to be a very strong year for fantasy, with books I am highly anticipating like City of Miracles, Oathbringer, and Tyrant’s Throne coming out. One such book that I have been incredibly impressed with is Mark Lawrence’s debut of a new series, Red Sister. A take on my favorite trope, magic schools, it was a amazing read from start to finish and I can’t wait for the sequel. While I wait patiently for the next book, I got a chance to talk with Lawrence a little bit about his newest work. While he is infuriatingly, and understandably, tight lipped about the second book – he answered a number of my questions about his writing process and Red Sister. Enjoy! Why nuns? Not that there is anything wrong with nuns, but they were never a fantasy character I thought of much before Red Sister – something that the book has definitely changed about me. I’m no good with “why?” questions. Because! I guess at some point I decided it would feature a “school” of some sort, then that it would be an all-girls institution. I’ve know people who were taught by nuns at girls’ schools. So nuns. Something I would love to know more of is what determines if someone is full blooded or not? I initially thought it had to do with being a “pure” blooded hunska or marjal, but that doesn’t seem to be the case as there are people who are multi blooded. Can you elaborate on this? I tend only to offer what’s in the books in answer to questions. It’s noted in the text that it’s possible to be more than a half-blood in two or more of the races, so clearly it’s not a description of the percentage of whatever blood you carry as >0.5 + >0.5 = >1. It’s simply a description of how much of the power/ability/potential of that race you have. And I guess if it were easy to know what determines that then they wouldn’t need child-takers testing random peasants, they would know from the parents, heritage etc. In our own genetics many regressive traits such as ginger hair will crop up seemingly at random. What inspired you to make this new world instead of continuing with your Prince of Thorn’s and Fools universe? What made you choose to start something new instead of build out more of that world? I grow bored. Not easily, but after a while. I very rarely get to the end of any long series I read. I don’t want to write one. It can be commercially sensible to stick to a winning formula, but I don’t have the heart for it. And any series is always an exercise in diminishing returns, if not creatively then in terms of readers. Book 9 will always have fewer readers than book 8. What have you learned from your previous two trilogies that you applied to Red Sister? Nothing? With the exception of some basic elements learned long before I wrote any of my published work I’ve never experienced writing as the kind of thing where you learn new skills. When I ice skated I used to go forward, and then I learned to skate backwards and I had a demonstrable new trick. Writing doesn’t feel like that to me. I can’t cite a single writing-thing that I have learned in the last decade. One area I really felt you stepped up your writing in Red Sister was in the combat. Was there anything you did differently to write, or prepare to write, these sequences? I never prepare to write. I just write. And no. To me the only difference is that most of the combat described is weaponless, and much of it involves one or more people who can move with extraordinary speed. The physics remains constant and so fights, from the point of view of someone who can move and think much faster than we’re used to seeing, have their own flavour. There are a number of what I call slow-mo descriptions which were fun to write. Red Sister has a unique take on the emotion of anger. In so many fantasy books, it is always regarded as something that will get you killed. What made you decide to take rage in a different direction in this book? I don’t think the book has a particular take on it, but certainly Nona is at odds with the idea that fighting is most effective when you are serene and in total control. I guess that just came out of her character. And it’s anger that starts most fights … you’d think it would at least be useful during them. I know you are a big proponent of Senlin Ascends, by Josiah Bancroft, (we have it coming up in our workflow thanks to your recommendation). Are there any other books, recent or past, that you would recommend? I really liked The Girl With All The Gifts, but it hardly needs my patronage with huge sales and a film out. The Vagrant by Peter Newman has a lot of originality and I really liked it. It may break rather too many conventions for some readers, but it’s certainly worth a look. How do we get you to do a signing tour in the US? Do you have any recommendations for bribes or should we just start mailing you miscellaneous things until you come to NYC? I don’t travel. It wouldn’t take any bribes, just the opportunity. I was asked to an event in London with Robin Hobb this month. I would have loved to go. But I have a very disabled child to look after and carers are incredibly hard to arrange. Mark Lawrence and I have an interesting relationship. As I talked about in my review of Prince of Fools, when I finished his first trilogy, The Broken Empire, I was immensely disappointed with how he chose to close out the story. The final book, Emperor of Thorns, put him on my blacklist and it was only when I decided to check out Prince of Fools on a whim that my opinion of him went through another shift. With my faith in him renewed, and my memories of Emperor lurking in my thoughts, I was extremely nervous to start The Wheel of Osheim. The final installment of The Red Queen’s War trilogy, I was concerned that I might have another unpleasant ending or that the finale might not live up to the quality of writing Lawrence demonstrated in Prince of Fools, and The Liar’s Key. However, Lawrence proved my fears to be unfounded. While I think The Wheel of Osheim is the weakest book in the trilogy, it is still one of the best books I have read this year. For once I am going to start with my problems with the book, of which I had three. The following has spoilers for The Liar’s Key, you have been warned. When we left Jalan and Snorri at the end of book two, they had both entered into the door to death and their fates were unknown. The Wheel of Osheim picks up a short time later as Jalan is vomited out of a portal in the sky into the Sahara desert and begins to make his way home to The Red March. Jalan and Snorri’s time inside the realm of death is not immediately explained, but instead told in snippets throughout the entirety of the book. While this did make the book more suspenseful, it can also make The Wheel of Osheim’s pacing and narration a bit jarring at times and I would have preferred to just experience the events as they happened. The second problem I had with the narration is that I feel as Lawrence did not do enough back end work to establish some of Jalan’s skills on occasion. We are told he has received extensive training in a variety of pursuits throughout the book giving him some skill, but we only find out what that training was when the skill in question is used. This can occasionally lead to a deus ex machina where Jalan seemingly has the exact skill he needs to survive at pivotal moments. Finally, my last problem is that I feel the book needed a longer epilogue, or simply another chapter or two so that I could see the effects character’s action had on the world at the end of the book. The book felt like it ended too soon and I was left wanting more. However, I say the best criticism a book can get is that I wish there was more of it. Despite the small problems I listed above, The Wheel of Osheim has a lot going for it. Most central to my praise is the growth and development of the protagonist Jalan. When I was introduced to the selfish, cowardly, and reprehensible Jalan in Prince of Fools I was really curious to see where Lawrence would go with him. Jalan was unlikable, but he was not so unlikable that I had trouble immersing myself in his character and relating to him. On top of this, he was consistently funny which made it fun to be along for the ride. I expected Lawrence to take Jalan on a path of improvement as the books went on, but what Lawrence achieved was actually much more impressive. 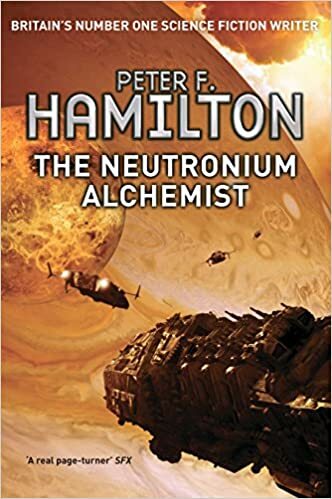 Lots of authors like to have protagonists who are filled with self loathing, but often just feel like they are fishing for compliments as they lament how awful they are while saving a burning orphanage from mecha-Hitler. Jalan instead almost feels brutally honest with himself all the time, and it makes him much more likable, relatable, and made me more forgiving of his flaws. On top of this, Lawrence manages to have Jalan grow and become a better person while also not changing his core identity, which I found thrilling to read. Jalan continues to see himself as this awful person and doesn’t realize when he is slowly edging into benevolent or selfless acts, and it has this profound effect of making me love him all the harder. While I had some small problems with the order events were told in, the pacing of the book felt extremely fast and exhilarating. Lawrence continues to impress as he sculpts new and creative nightmares for his protagonists to encounter, and I really feel like he was getting the most out of his setting in this trilogy compared to The Broken Empire. The action takes a large step up in the third installment, and Lawrence has shown some noticeable improvement in how he writes his action scenes. The ending was also quite enjoyable, and I left the series wanting more of Jalan and excited to see what the future entails for him and Jorg. With some minor hiccups, The Wheel of Osheim provided a great end to a great trilogy. Jalan is one of the most memorable and enjoyable protagonists I have read in a while, and I want to see more of him. 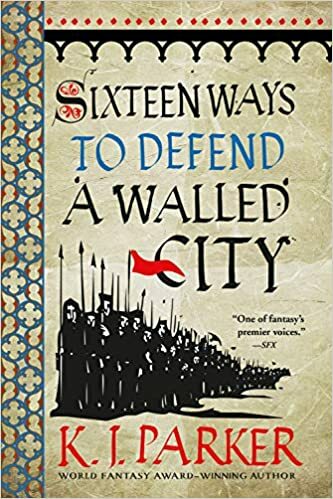 As I was once a Mark Lawrence detractor, you can trust me when I say that this is a book series worth picking up and will have you laughing, crying, and on the edge of your seat from start to finish. The Quill to Live recommends both The Wheel of Osheim, and The Red Queen’s War as a whole. This book was provided as an advanced copy for an honest review from Netgalley. So, I have been buried under work recently and have had almost no time to make a post, or even read a book. However, this month I read a book that I felt I had to take time to write about. Many of you know who Mark Lawrence is. For those of you who don’t, he is the author of two very popular series that some would describe as some of the ‘darkest’ and ‘edgiest’ fantasy out there. His first series, The Broken Empire Trilogy, follows an absolutely terrible human being named Jorg as he murders his way to success in a bubble of self absorption. Now I am sure you can sense from the tone that I did not enjoy The Broken Empire Trilogy. I am not saying the books were bad, I am simply saying I did not like them. But, something weird happened while I was reading the trilogy. I found the first book, Prince of Thorns, completely forgettable and the third book, Emperor of Thorns, completely unenjoyable. However, the second book, King of Thorns, I really enjoyed. The structure, character development, and plot all hit a really good place for me and I ended up rating King of Thorns as one of my favorite books for the year I read it. That being said, the third book left a very bad taste in my mouth. While I can see why many like it, it was just truly not my kind of story. Many of my close friends (who share similar tastes) agreed with me and they all swore off Mark Lawrence as a talentless hack. I was not convinced. It is always important to try and understand why you didn’t like a book. Sometimes it is because you thought the book was poorly written, sometimes it is that the style is off, and sometimes it is simply that you do not like the plot or subject matter. As many of my companions wrote off Mark Lawrence, I continued to think about King of Thorns. 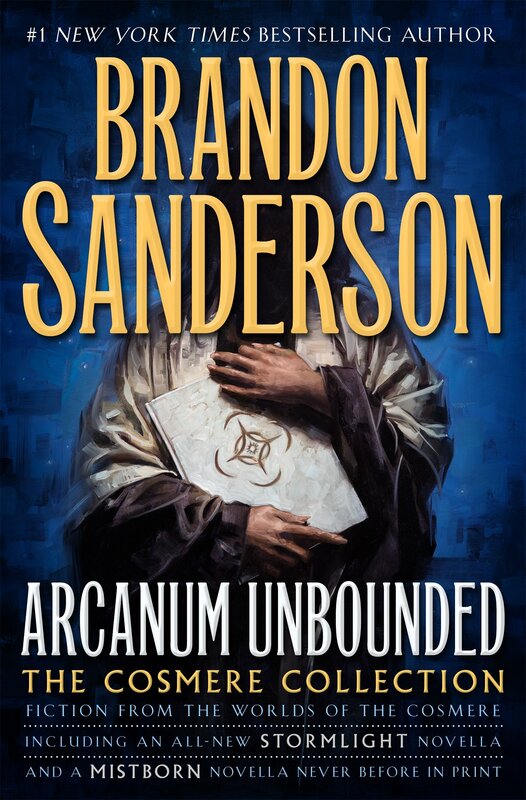 So after Prince of Fools, the first book of his second trilogy, came out I considered it. I did not immediately grab the book, but I picked it up a few months ago on the cheap thinking it might be worth consideration. Multiple people told me I was wasting my time and money and that I would regret picking it up. They were all wrong. While The Broken Empire follows Jorg as he murders his way to the top of a food chain, The Red Queens War (of which Prince of Fools is the first book) follows Jal and he tries to avoid all responsibility and enjoy life. This soon proves to be impossible as he is unwillingly set on a hero’s quest, something he is extremely unhappy about and looks for every opportunity to back out. With him is a viking companion named Snorri who is driven by noble virtues and motives on the same quest. These two characters have an incredible juxtaposition and Mark’s manipulation of both their emotions is masterfully done. While Jal is still not a good person, I found him infinitely more relatable and enjoyable to read than Jorg and his thorns. My problem with Mark’s original trilogy is that I simply did not enjoy reading about the main character and that there were many elements of the plot I was not a fan of. On the other hand, I felt that he is an amazing world builder, is great at character development, and has a real talent for dialogue and pacing. It turns out that removing Jorg (and in fact making him a side character) cut the heart out of all my problems with the work. 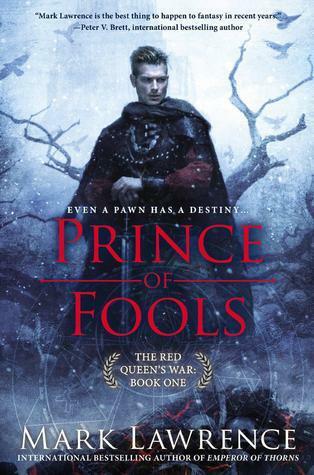 Prince of Fools continues Mark’s tradition of an incredibly well built world, clever dialogue, and character growth; but this time I love both the characters and plot. As a result, the book turned out to be one my the most enjoyable reads I have had in a while and will be picking up a copy of the sequel, The Liar’s Key, soon. Authors wear many hats and it’s important to remember that a single book is hopefully not a good representation of their entire work. My experience with these books has inspired me to consider other authors I have written off over the years and think about why I stopped reading them. To Mark, I know you read almost everything on fantasy sites and that you are a great force in the fantasy genre, and I want to thank you for writing a book for me.